Select Windows where the three operating systems are listed. Download the Python 3.7 version. Python 2.7 is legacy Python. For undergraduate engineers, select the Python 3.7 version. If you are unsure about installing the 32-bit version vs the 64-bit version, most Windows installations are 64-bit. You may be prompted to enter your email. 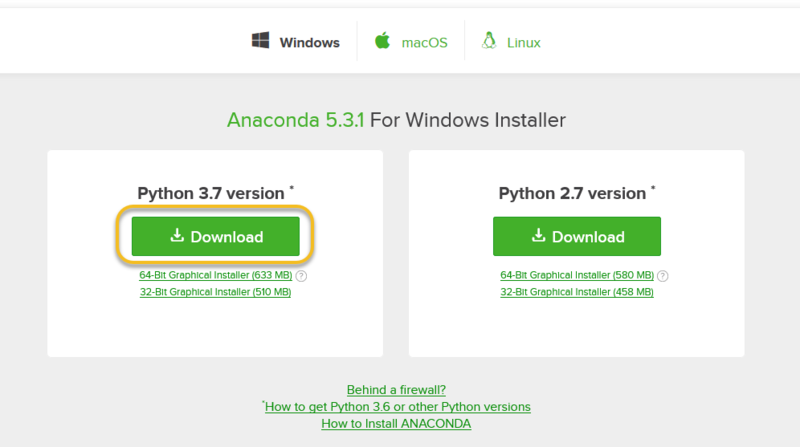 You can still download Anaconda if you click [No Thanks] and don't enter your Work Email address. The download is quite large (over 500 MB) so it may take a while for the download to complete. and agree to the license. 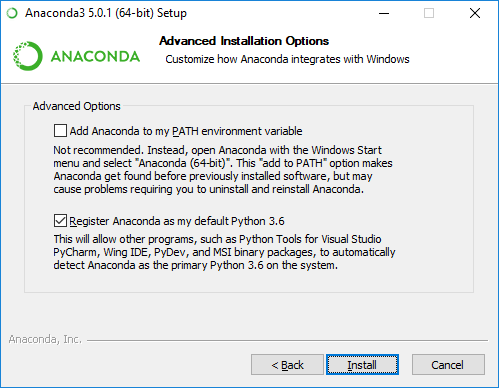 do not check "Add Anaconda to my PATH environment variable"
After the Anaconda install is complete, you can go to the Windows start menu and select the Anaconda Prompt. This will open up the Anaconda Prompt. 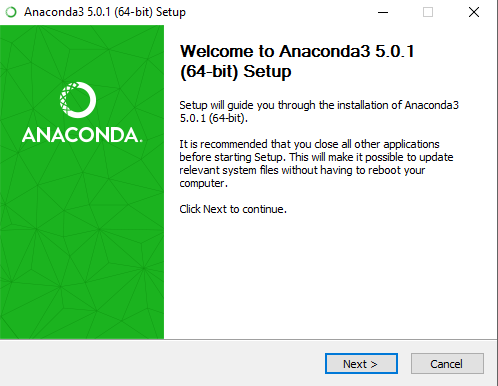 Anaconda is the Python distribution and the Anaconda Prompt is a command line tool (a program where you type in your commands instead of using a mouse). It doesn't look like much, but it is really helpful for an undergraduate engineer using Python. 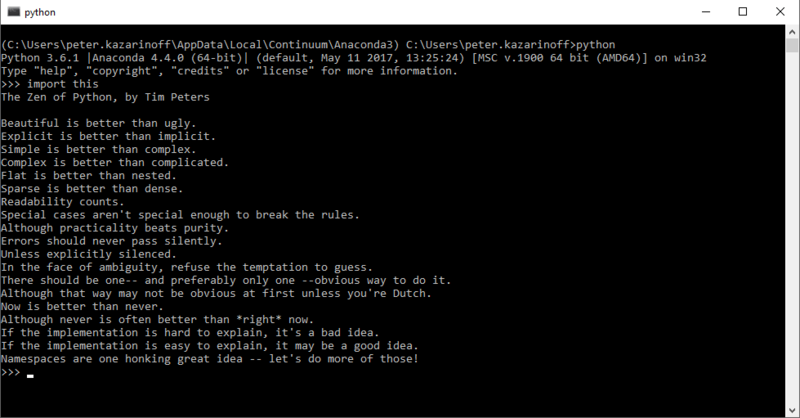 At the Anaconda Prompt, type python. The python command starts the Python interpreter. Note the Python version. You should see something like Python 3.7.0. With the interperter running, you will see a set of greater-than symbols >>> before the cursor. To close the Python interpreter, type exit() at the interpreter prompt >>>. Note the double parenthesis at the end of the command. The () is needed to stop the Python interpreter and get back out to the Anaconda Prompt. 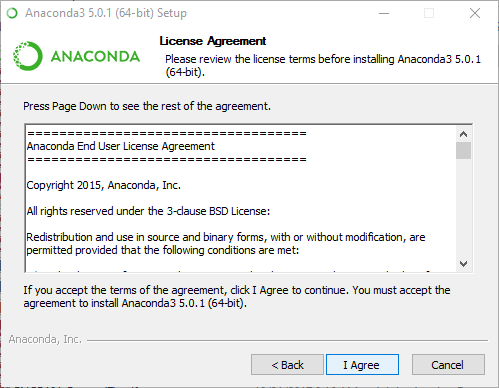 To close the Anaconda Prompt, you can either close the window with the mouse, or type exit. Congratulations! You installed the Anaconda distribution on your Windows computer! 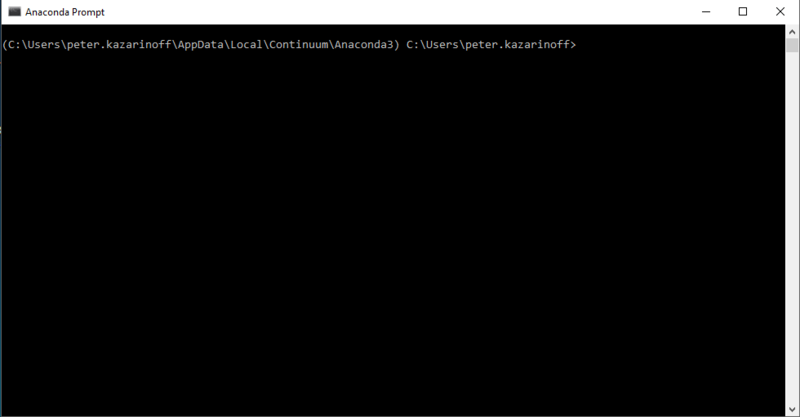 When you want to use the Python interpreter again, just click the Windows Start button and select the Anaconda Prompt and type python.